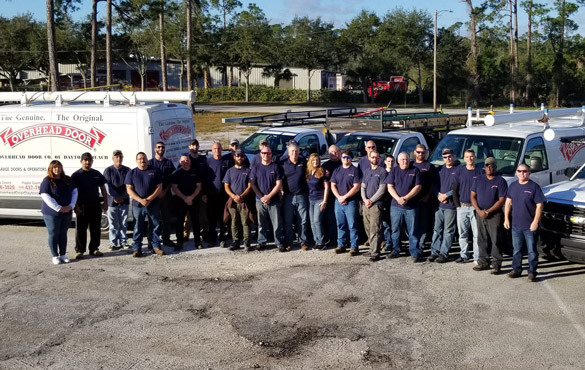 Founded in 1955, The Overhead Door Company of Daytona Beach™ is your local source for Commercial, Industrial and Residential garage doors and openers as well as Gates, Gate Openers, and Access Controls. We are proud of our reputation for experienced staff offering quality service. The Overhead Door Company of Daytona Beach™ has been voted best garage door company by the News-Journal Readers Choice Awards for 20 consecutive years. Thank you for voting! With one of the industry's most comprehensive screening processes, HomeAdvisor gives you the peace of mind that comes from knowing you hired a pro you can trust. The Overhead Door Company of Daytona Beach™ is proud to be a top rated professional on HomeAdvisor. AsktheSeal.com was founded in Central Florida in 2008 to help consumers distinguish reputable companies from companies that pretend to be reputable. They quickly became a trusted name in Central Florida, where consumers go to find reputable companies with the Seal of Approval.